Passiac 1 members who raised money for local child and food pantry. 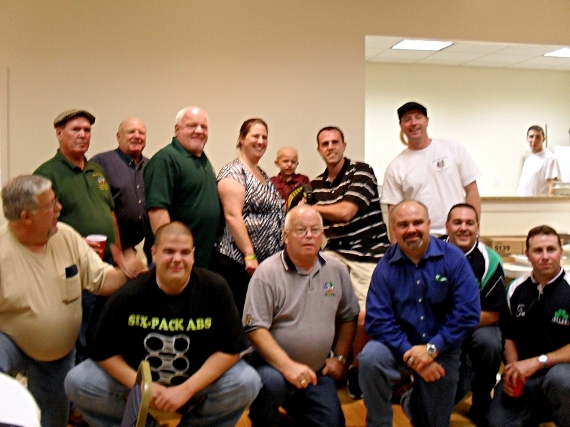 Notre Dame Division 1 held a beefsteak dinner to help a family in need in Passaic County. The division donated $1600.00 to the family of Andrew Goodell, a 3 year old Hawthorne, NJ resident that was diagnosed with a childhood cancer known as Neuroblastoma to aid with the cost of treatment. The division also donated $1000.00 to Eva’s Kitchen located in Paterson, NJ to aid the organization in feeding those in need in Passaic County. In the spirit of Catholic Charity, Notre Dame Division 1 Passaic County New Jersey was proud to donate to these worthwhile causes to assist brethren in our county.